As an online entrepreneur, it’s natural to have a DIY attitude. The problem is, doing everything yourself can be a waste of precious energy when you can effectively delegate certain tasks. On top of this, there may be certain aspects of your business that could be improved if you partnered with an expert in the field. In this post, we’ll take a look at the top five aspects of your business where you should consider bringing in some outside help. 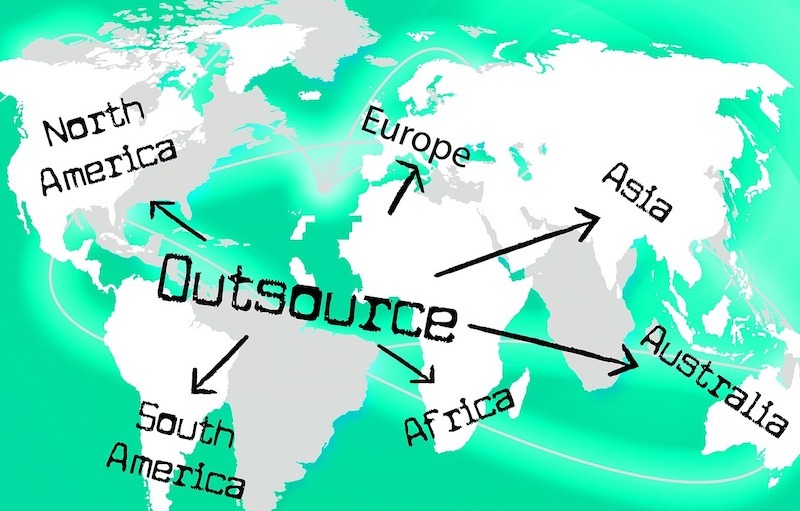 Used wisely, outsourcing can liberate you from the tedious activities that might be holding back innovation and growth. Properly managing Facebook, Instagram, Twitter, and other social media platforms requires daily engagement with fans and prospective customers. The near-constant posting of content, commenting, and “liking” of posts comes naturally to some, but to others it’s a chore. Even if you are social media savvy, delegating some tasks to a social media management agency can be a good way to maximize your digital footprint. Bringing a partner on board doesn’t mean you have to entirely hand over the keys to your accounts. Fans want to see content directly from brand owners, so you can still contribute some posts of your own. The difference is that you can then focus on making quality posts when you have something interesting to say, without feeling the need to churn out content constantly. Speaking of content, effective SEO depends on it. Driving organic search traffic in your direction requires optimizing your online presence in specific, Google-friendly ways. Having adequate amounts of quality, SEO-optimized content calls for not only a skilled wordsmith to write the stuff, but also someone who can manage keyword analysis, editing, and HTML tags. Hiring an SEO agency gets you a team of experts dedicated to making your website reach new heights of visibility. The visual element of your brand is the first impression that potential customers have, so it’s important to get it right. Whether you’re in need of a stylish logo or website graphics, working with a quality graphic designer enables your brand to look trustworthy and professional. No matter how excellent the goods or services you offer are, if your visual branding isn’t on point, you’re missing out on potential customers. A sleek, intuitive app can make all the difference between a world-class brand and one that falls by the wayside. Let’s face it: App development is a highly specialized skill that isn’t for the faint of heart. At the same time, if you’re looking for ways to reach customers on the go, a full-feature mobile app is essential. Though it may be tempting to save some cash and try your hand at Java or Objective-C, this is a task that’s best left to the experts. Outsourcing your web design needs is smart for a number of reasons. Not only can you get a professional-looking website, but it can be done exactly to your specifications. With drag-and-drop website creation tools, you’re pretty much locked in to the templates they provide, and while they may be beautiful, it’s nearly impossible to be unique. A responsive and intuitive website is a must for any online entrepreneur. Good web designers aren’t only concerned about the visual aspect of your site, but also take care to provide a positive user experience at every step of the customer journey. With a world-class website, your brand can reach new levels of connectivity with consumers. Once your social media, SEO, graphic design, app development, and website are in the right hands, you’ll be ahead of the online entrepreneur game. With a good team behind you, there’s nothing your business can’t achieve.